Fall is finally here. I know I’m supposed to be super excited about the leaves falling, cool mornings, and pumpkin spice lattes, but I’m just not there yet. I’m still mourning the loss of the hot sun and late summer nights. My kids however, have fully embraced everything pumpkin. Our local market already has pumpkins for sale and Charley got so excited and begged to take one home. We named it George, and then she helped me cut it up and scoop out the ‘guts’. After baking and pureeing the flesh, we made some of it into these delicious muffins and the rest went into Xavier’s morning oatmeal. I find paleo baking to be pretty tricky. I usually prefer to use almond flour rather than coconut flour, but Charley’s preschool is completely nut free so I’m having to come up with some new recipes for her. Be aware that the texture of these muffins can not be compared to regular muffins made with wheat flour. Paleo baking is just different, and that’s okay. 1) Preheat oven to 400 degrees fahrenheit. 2) Combine all wet ingredients in a bowl and mix well. I used an electric mixer on low to really hide the zucchini and banana as much as possible for my kids but you could mix by hand with no problems. 3) Combine all dry ingredients in a separate bowl and mix well. 4) Gradually mix the dry ingredients into the wet mix, stirring to combine as you go until well blended. 5) Spoon muffin batter into lined or greased muffin pan and bake for 30-40 minutes or until done. Charley really wanted to sprinkle some mini chocolate chips on top of the muffins before baking so we did that this time (seen in photo). Not necessary of course, but there are much worse things she could be eating, and if those few chocolate chips get her to eat pumpkin, zucchini and banana, then I consider that a parenting win. We are loving zucchini season! 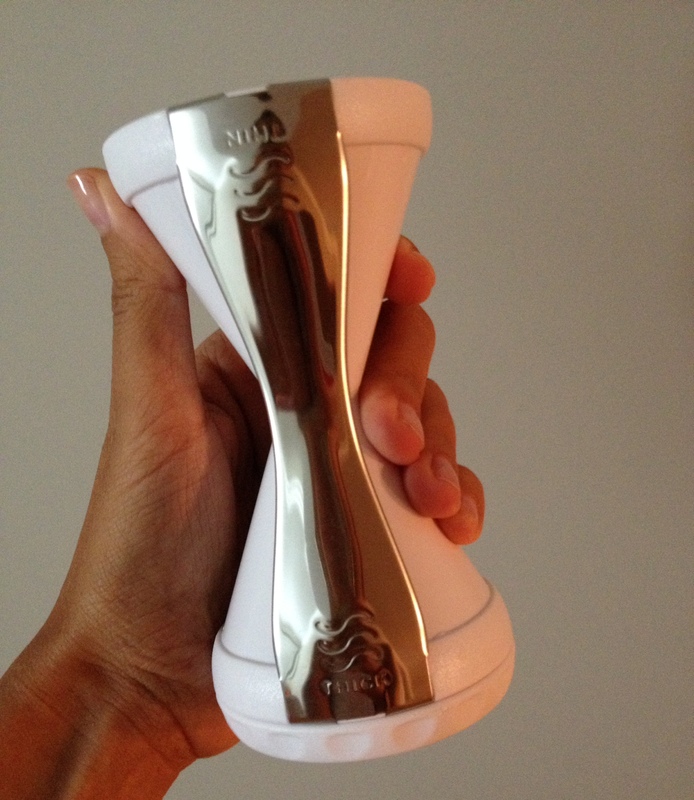 We’ve been using it in everything we can. It doesn’t have a strong flavour so I’ve been able to hide it in some foods for my picky kids to eat. 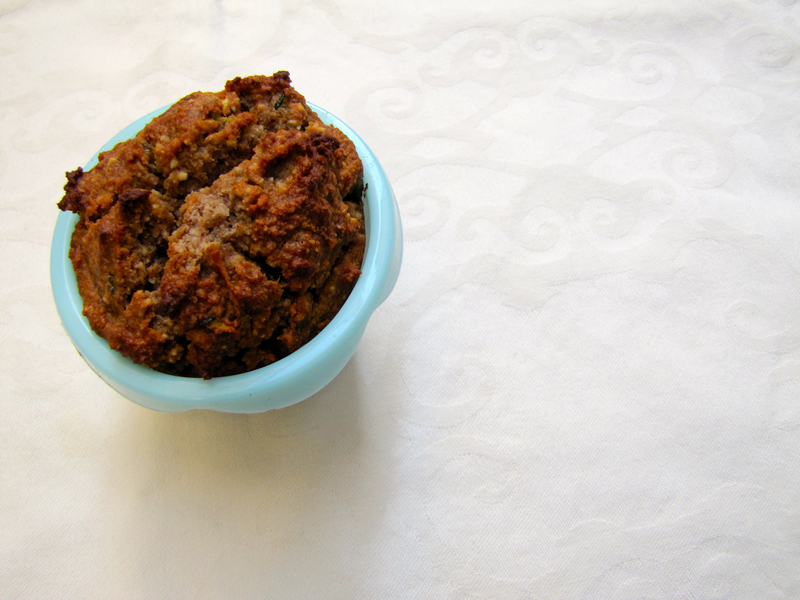 A friend turned me on to Danielle Walker’s Almond Flour Zucchini Bread recipe from Against All Grain and with just a couple of tweaks, Charley and I made it into our own muffins. I had made them to take camping with us the following day but the whole dozen were eaten before we left in the morning! 2) Combine all your dry ingredients in a small mixing bowl. 3) Place the wet ingredients in a large bowl and beat with an electric mixer for 2 minutes. 4) Add the zucchini and beat until combined. 5) Slowly add the dry ingredients to the wet, keeping the mixer going. 6) Add the chocolate chips and mix until combined. 7) Pour into lined muffin tins and bake for approximately 30 minutes. 8) Let cool before slicing in half and slathering with grass fed butter. Enjoy! This month marks my 2 year Whole30-versary! Two years ago, a close friend of mine posted an Instagram photo of her zucchini and yam hash for breakfast with the hashtag ‘Whole30’. I asked her about it, and she gave me the Whole30 rundown. I completed the Whole30 challenge, and have been on a journey of health ever since. This meal is still one of my favourites for breakfast, or post workout. I’ve seen variations of the recipe on several different food blogs and I have no idea where it originated, but here’s the gist of it. 1) Using a food processor or cheese grater, shred your yam and zucchini. 2) Heat a large frying pan over medium heat and melt your coconut oil in it. 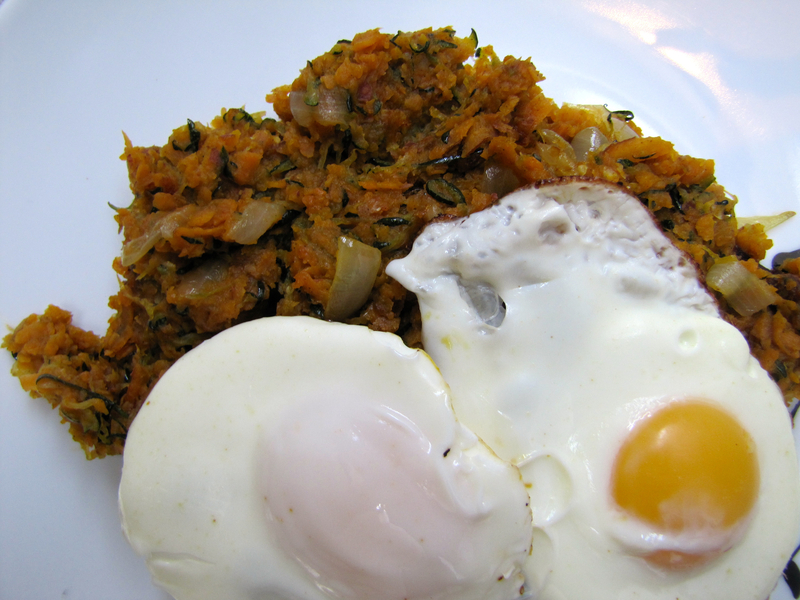 3) Place your shredded yam and zucchini and your chopped onion in your pan and mix to combine. 4) Sprinkle with sage and mix again. 5) Allow the yam and zucchini to cook until you start to see some crunchy brown parts starting to brown, about 10-15 minutes. 6) Remove your hash from the pan when it is cooked to your liking and cover to keep it warm. 7) Fry your eggs in the same pan, however you desire. My favourite way is to gently crack them into the pan, pop the lid on, and leave them to cook for 3-5 minutes until the whites are cooked through and the yolks are still runny. 8) Carefully slide your eggs out of the pan and on top of your hash. Sprinkle with salt and pepper and enjoy! If you don’t have a vegetable spiralizer yet, you need to go get yourself one. Right now we are squeezing our little family into a basement suite and my kitchen is tiny, so I was thrilled when I found this little hand held one for $10 at Ross last week. However, someday when we are living in a bigger space with a bigger kitchen, I’m going to order this bad boy. But for right now I’m happy with my little one and it’s doing the job just fine. Look at these beautiful zoodles! 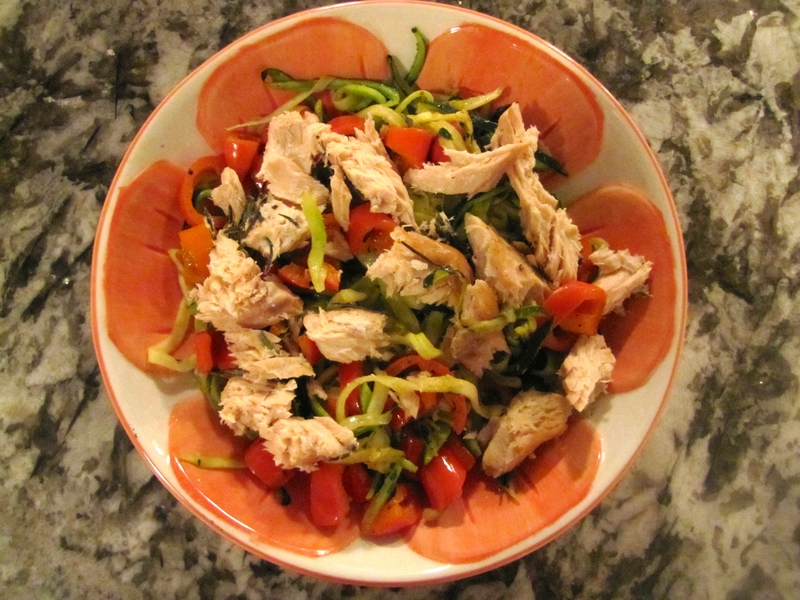 Zoodles are quick, easy, delicious, and a great substitute for pasta, which is what I used them for last night. This recipe makes enough for about 3 people. Enjoy! 1) Heat a large pan over medium heat and pour approximately 1 tbsp of olive oil into it. Once heated, crumble the Italian sausage into the pan and add the bell pepper, carrot, onion and garlic scapes. Fry until the meat is cooked through and no longer pink. 2) Add the jar of pasta sauce and mix to combine. Lower the heat, put the lid on, and allow to simmer while you make your zoodles. 3) Heat another large pan over medium heat and pour approximately 1 tbsp of olive oil into it. Working in batches, fry your zoodles in the olive oil for 3-5 minutes or until softened. 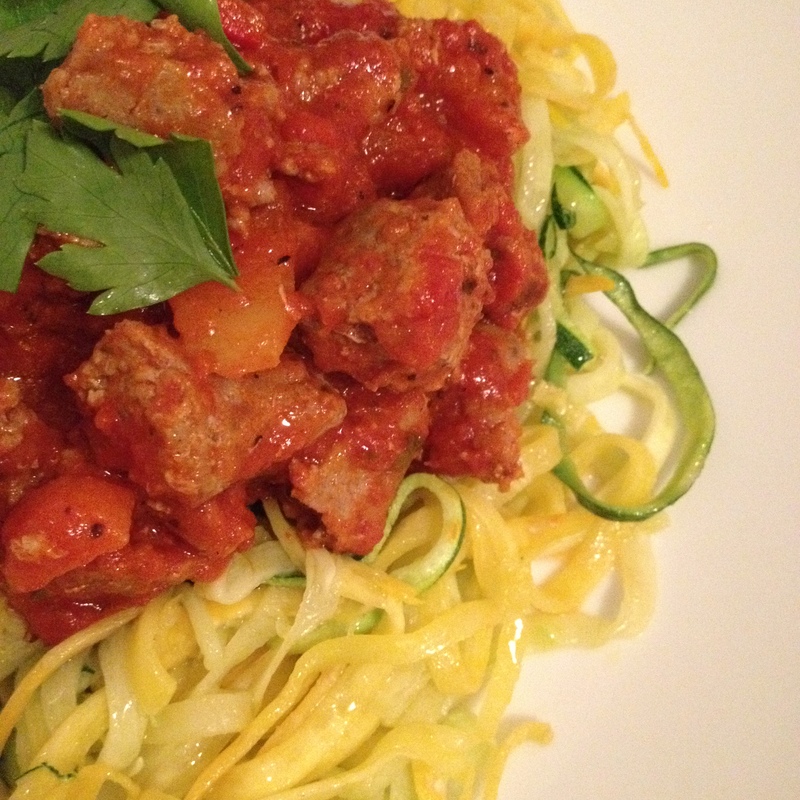 4) Once all of your zoodles are softened, serve them with the sauce on top and sprinkled with fresh parsley. Enjoy! I love repurposing leftover chicken! For this recipe I used an extra FlavorGod chicken breast that I had baked the night before, making it a quick and easy recipe for lunch the next day. The amounts of seasoning are suited to my taste, so feel free to adjust them to suit yourself. Enjoy! 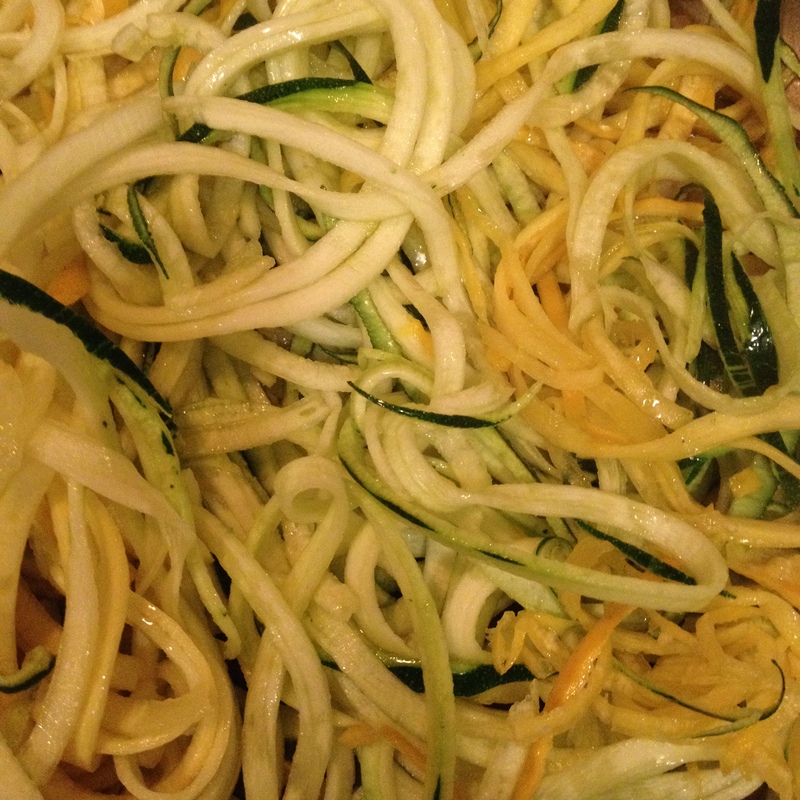 Using a vegetable spiralizer, spiralize your zucchini into zoodles. Heat a large frying pan to medium high. Pour about half of the Tessemae’s sauce into the pan, and then fry the zoodles in the sauce for a few minutes, until they start to soften. Add the chopped kale and the rest of the Tessemae’s sauce and stir to combine. Put a lid on the pan, turn the heat down to medium, and let the kale soften. 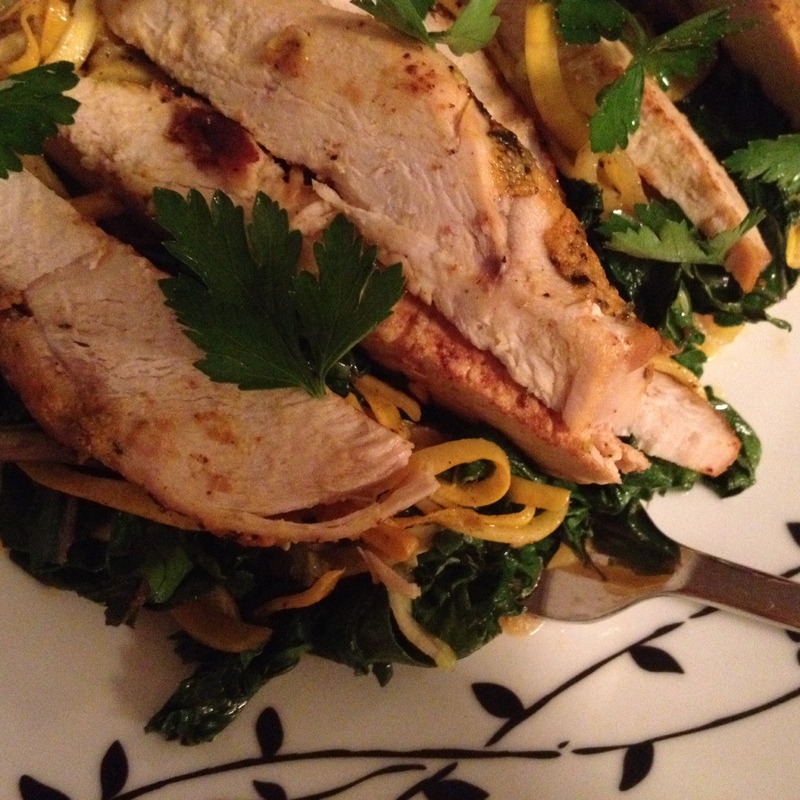 Once the kale has softened, place your zoodle and kale mixture on your plate and topped with the sliced chicken breast. Sprinkle with fresh parsley and enjoy! PS. If you haven’t discovered Flavor God spices or Tessemae’s sauces yet, you’re missing out! Check them out at http://www.flavorgod.com and http://www.tessemaes.com. Most, if not all, are Whole30 approved!